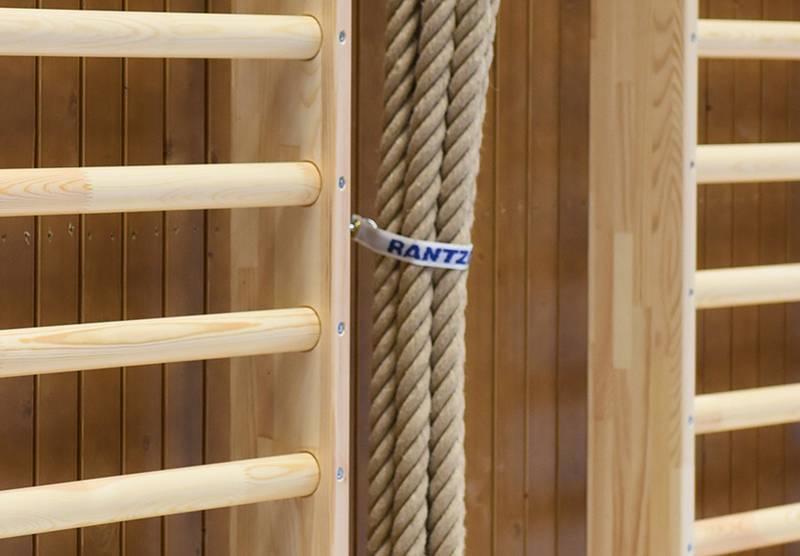 Climbing is instinctive in children, making ropes a firm favourite. Our products are safe and functional - down to the last detail. Roof-mounted rope systems are subject to heavy loads, so to optimise safety all our trackways are made with heavy duty C-profiles. 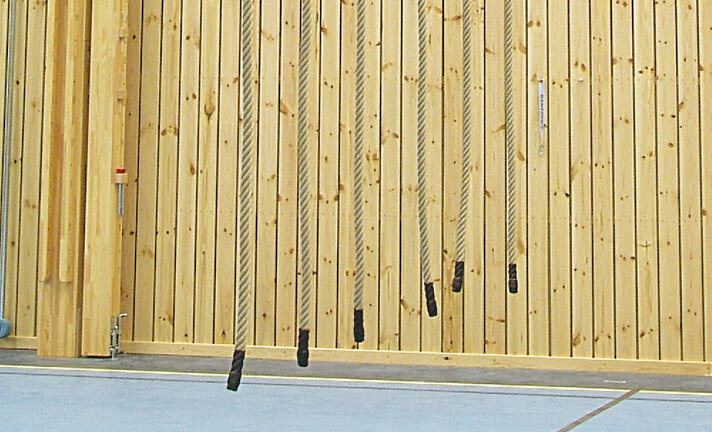 The ropes are easy to pull out and in, with outer ropes having catches to lock them in position during use. 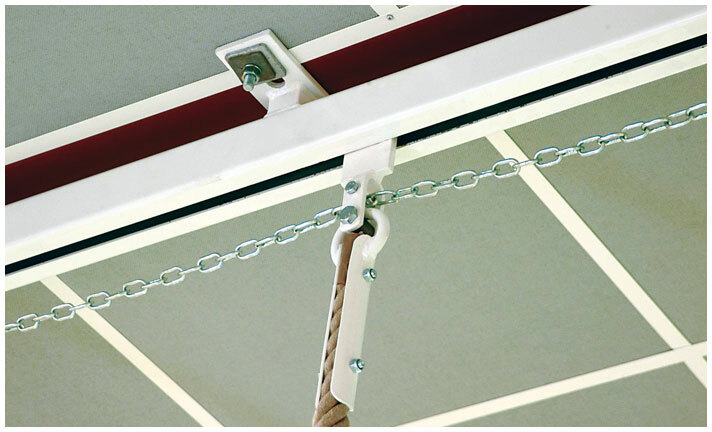 The rail curves downwards at the wall end, ensuring the ropes stay in place when not in use. Available in 4, 5, 6 and 8 rope configurations. Ropes are of the highest quality hemp for long life, 34mm diameter, with white-painted steel fittings at the top and sealed at the bottom. Used to collect the ropes against the wall.